The benefits of installing a state-of-the-art control system will only be recognized when your facilities team is utilizing it to its full capability. 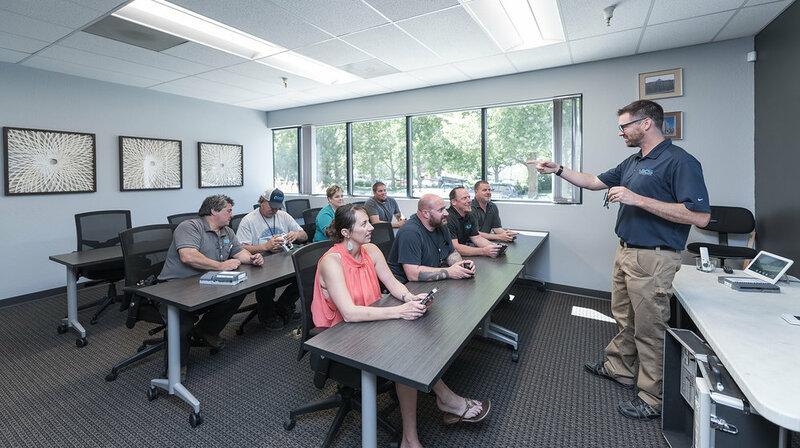 We recognize that training your team on the system is as important as the system itself, which is why we offer our clients a full curriculum of education around our products and services. When we train our clients on the systems we install, we help them better understand and operate the technology and systems in their building. Plant and facilities management personnel can maximize their capabilities by taking advantage of user-friendly graphics, alarm and event management, trending, unlimited data archiving, and flexible reporting. Technology is always evolving and improving, and we’re committed to staying on the leading edge of those changes so that we continue to provide our clients with the highest level of knowledge and service.